Windows Essentials 2012 programs will run on Windows 7 (32-bit or 64-bit versions), Windows 8.1 (32-bit or 64-bit versions), Windows Server 2008 R2, or Windows Server 2008 with Service Pack 2 and the Platform Update for Windows Server 2008, or Windows Server 2012. 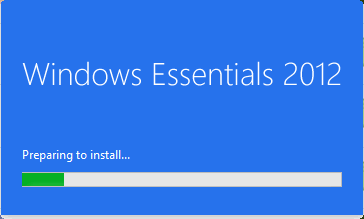 Additional installation requirements might be necessary to run Windows Essentials 2012 on Windows Server or N SKUs. For GIF animations, you will need to have hardware rendering enabled instead of the software rendering. Movie Maker and Photo Gallery must be installed together. You can’t install one of them separately as they share quite a few features together. If you are using Windows 8.1 then you don’t need to install Family Safety app as it has been integrated within Windows 8.1. Microsoft SkyDrive has been replaced by OneDrive. The app remains the same with all its features. Only the name has been changed to OneDrive. When I installed the new Windows Essentials 2012, I was given a choice of installing Windows Live Messenger which should not be the case as it will not work any way. You will need to download and install Skype instead for using it as an instant messenger. 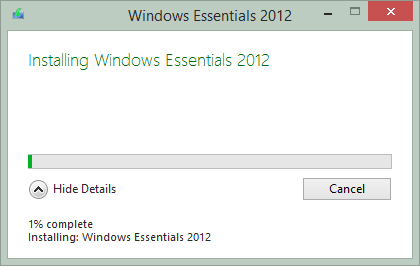 Please note that all the above links are direct download links to the full installers of Windows Essentials 2012. If you want to install the web installer, you may download it from here. If you are using Windows XP or Windows Vista, the above installers will not work. You will need to download an installer in your language from here. Hi there – looks like all the links here are outdated. I found a website called winmoviemaker.com which links directly to the archive.org copies referenced by Marko. Hope this is helpful. Use https://web.archive.org/ if you want working links. Ditto. I missed / never got the announcement Windows Movie Maker wouldn’t be supported on Win10. Now I’ve got videos, with wlmp (WMM project files) and no means to update them. No alternative. Can’t find *any* software out there that can Open / Import wlmp files (allowing the resulting video to be edited – not just bulk conversion). Happy to pay if necessary. I need the Application as the links in this article are out of date and no longer active. Please update this article with the correct download link. Thanks!! Its excellent that a repository exists for Windows Applications which are very useful but removed from acquisition by Microsoft (Support Ended) Not all of us in the world are running MS Windows 10. Many are happy with Windows 7 and the historical applications we have learned to use over the past decade or so. Keep up the great work supporting historical off line Windows applications. The downloads offered by download and softronic are the web versions which require access to Microsoft repositories which are of course blocked by Microsoft. Muchísimas gracias, no entiendo porque no siguen en vigencia con estos programas porque son una bomba. Saludos. elsewhere – to this site, thank you. on windows 8.1 64 bit . help me sir.